We're going to Mayrhofen in January and some of the group are looking to hire equipment. Can anyone recommend a good hire shop somewhere near the base of the Penkenbahn? 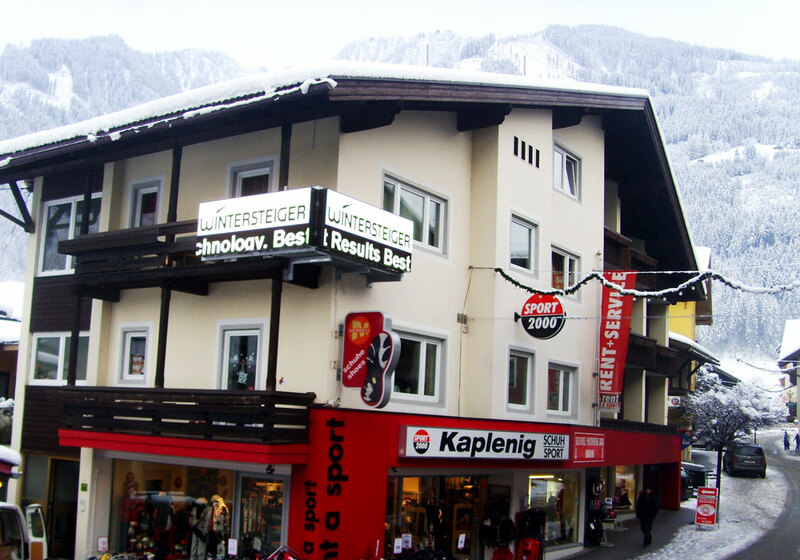 Alternatively, should we just pick one of the shops on the Hauptstrasse that shows up on Alpinresorts (Ski Pro Austria). Ski Centre Hubert Kroll, he has a location at the top of the Penken Gondola, might mike life a little more comfortable in the mornings. We have rented a lot of skis for our kids over the years from Sport2000, just across the road from the bottom of the Penken, look on line to see if they have any deals on before you go. The place is owned by a Brit, Ian Kilgour, he seems to have all new gear in every year, he told me that selling it all after one season was the best business model for him. A few years back I was chatting to him about his odd surname and that my next door neighbor was also a Kilgour, turned out to be his uncle, didn't get any discount though. Another vote for Ian at sport2000...really nice guys and very helpful, i don't rent anymore but have had a few days worth of touring gear from him and used them for servicing. the advantage is that you can leave your equipment there overnight and you are right in the centre of the Apres, so gear off shoes on and straight in. if you hire from the one at the top of the gondola then you are stuck skiing the Penken mountain rather than exploring the valley. Thanks @JimboS and @enduroaid, is this the place you're thinking of: http://www.rentforfun.eu/?lang=en ? They don't show up on Sport 2000. @Fattes13, the folk hiring gear probably won't have lift passes on arrival day when they want to get their gear, so we're looking for a base station option. Also, we might ski somewhere else in the Zillertal some days. Thanks for the suggestion though. Luggi has retired. He now recommends the Green Room. @sugarmoma666, Yes, one and the same, maybe they have dropped the Sport2000 name. The link in the above posts seemed to be put in automatically by the web site rather than by me. Have used Ian at Sport2000 and found him to be very helpful with a good stock. Hire online from him though, rates are higher if you walk in. As@enduroaid, says it's very convenient as well. Thanks for the recommendation of Ian Kilgour's shop, Rent for Fun (http://www.rentforfun.eu/?lang=en). The guys in our group who were renting were very happy with both the service and equipment. All of the equipment was very new as others have said. I also had our gear serviced there overnight, which was done well and for a very reasonable price. Has anyone used Mietski in Mayrhofen ? They seem to be a lot cheaper. Any cons? From a quick look at their website, it's hard to tell what Mietski is. I'd guess they're just an agent. The shop they use in Mayrhofen seems to have short opening hours compared to some. Good quality skis and I could change models during the week for free if I wanted to. Think promo code news101 or frozen will get you an extra 5% off. They were the cheapest I could find online eg Atomic nomad smoke 45.5 Euro. Discounts for groups. Both shops in cntre of Mayrhofen. I used a Mietski in Solden a few years ago and had no issues. The location isn't such a big factor because I will get a locker in Penkenbahn, booked through the Intersport shop. They do insist on insurance though , which always seems a waste to me. Been skiing for years and thankfully never had an issue. Mind you I've always used ski shop rentals and mostly on piste so never considered the insurance fees worth it. I've not used them but did look in their shop last year - skis looked good and in good condition. Went a few years ago. Got my equipment from a chap called Luggi, lovely fellow, served me himself (retired now). It's a small shop, but that's where you get the personal attention, AND it's a short lob from the lift.